The future of certification. Today. 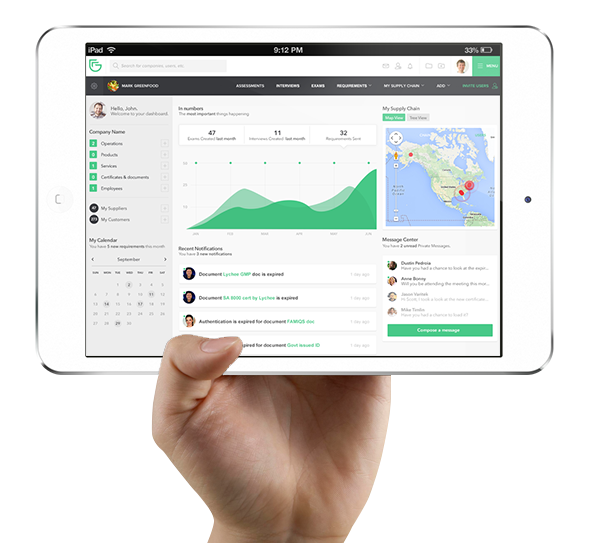 Utilize the platform to move your audits from post facto to real-time. Convergence of IoT with Big Data and automation allows non-conformities at your customers sites to be detected and reported to you as they occur. Use risk analytics to intelligently determine where on-site intervention is required. Make far more efficient use of scarce auditor resources via application of remote audit methodologies, bringing transformational growth to your business. Deliver a step-change in value delivered to your customers. 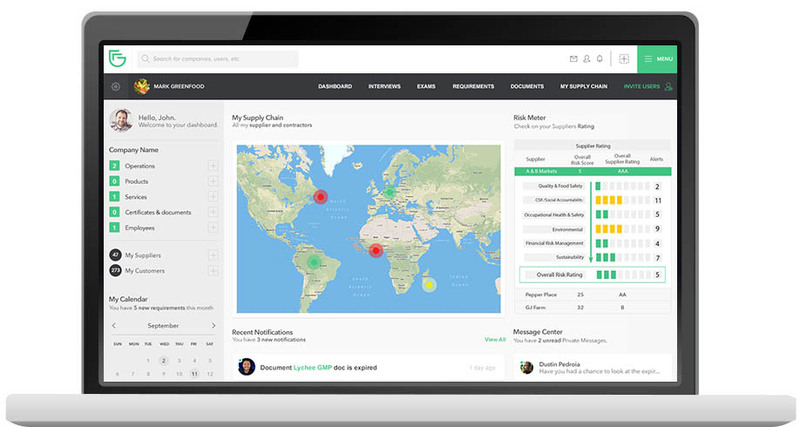 Monitor customer certification status across their entire operations in real-time. Deliver more value to your customers through advanced data mining and predictive analysis. Focus audits on key risk areas for your customers via the advanced risk analytics engine. Review customer satisfaction ratings to enable continuous improvement of your processes. Verify any type of information required by your customer or their downstream supply chain. Full visibility of all current valid certificates across the entire supply chain. Automatic compliance notifications are posted to increase efficiency of the entire process. Grow your business through a closer understanding of the entire supply chain and its needs. 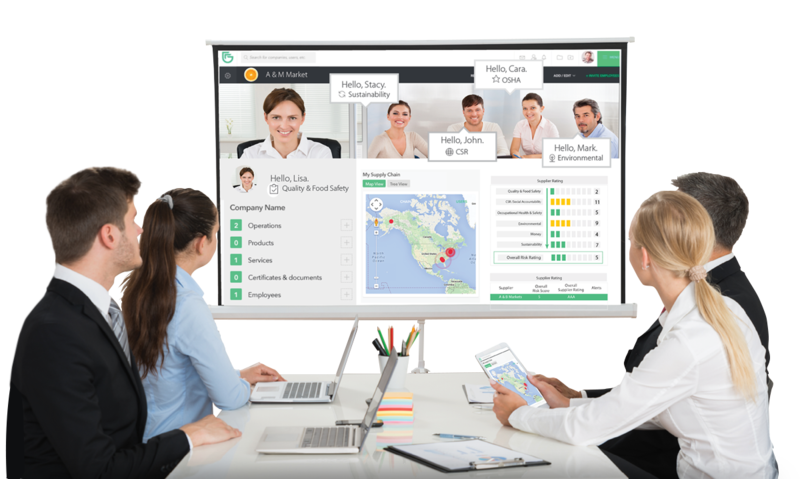 Ensure the harmonization and interoperability of all your systems and reporting processes with those of your customers. Access deep dive diagnostic and predictive analytics across all domain verticals of interest to your customers. Identify your auditors’ locations in real-time via the platform’s map-view. 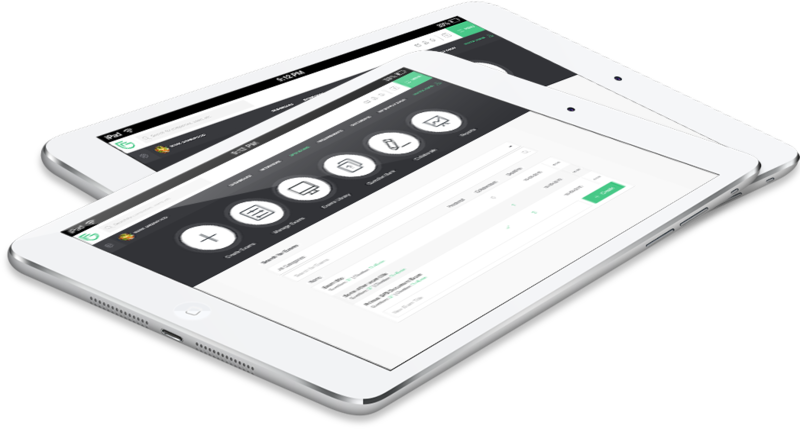 Seamlessly schedule audits in collaboration with your customers using the platform’s advanced scheduling and communications tools. 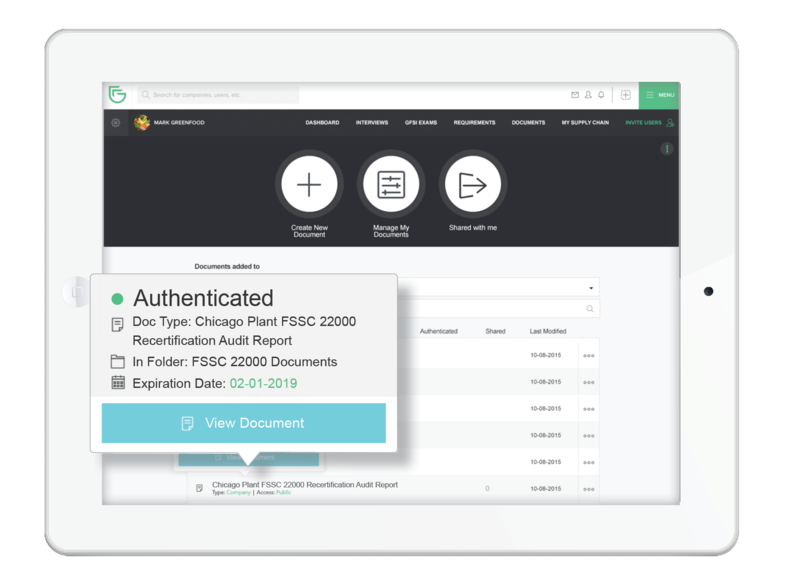 Make far more efficient use of scare auditor resources via application of remote audit methodologies, bringing transformational growth to your business. Advanced analytics to track key metrics such as auditor utilization, revenue by customer, new sales growth, etc. Auditors can now take their competency exams and assessments online. Assures that qualified and competent personnel are conducting audits. Auditor exams and assessments are auto scored and analyzed. Scores are converted to Auditor Competency Rankings. Better understand future auditor resource needs and competencies based upon market demands. No sign up fee. No user licenses. © Copyright greenfence.com 2008-2019. All rights reserved. Send us your information below and someone will be in contact with you shortly.